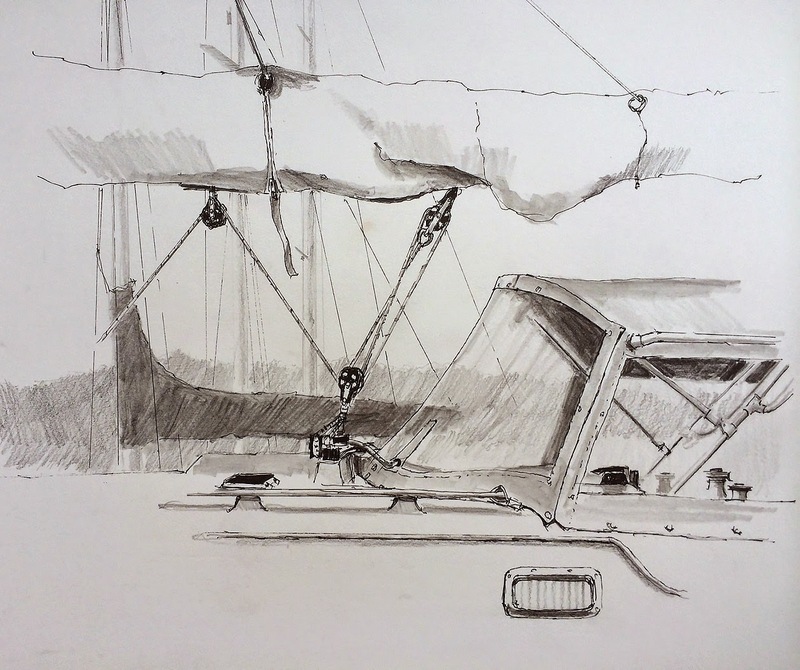 This is a sketch of some of the main sheet rigging on the boat that sits next to us in our marina. I'm intrigued with drawing the blocks and various features that ships with sails have in abundance. 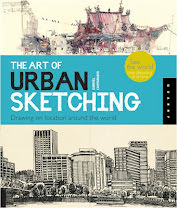 Hence the sketch. I haven't worked much with a pencil/pen combination of late so it was fun to get back to the medium. I love the details, too. If this boat was resting by me I'd be sketching it, too.